We are an independent insurance agency. We do not work for an insurance company; we work for you! As an independent insurance agency, our duty is to to provide YOU the best service and the best coverage, at the best possible price. We represent dozens of different insurance compaines. We can shop rates for different providers and help you find the most affordable coverage available. Cover Your Biggest Investments. Build a Custom Policy & Make the Switch! We are here to help you and your family get protected from floods with Louisiana Flood Insurance . Compare Multiple Quotes & Get Business Insurance for Your Business Today! Find affordable motorcycle insurance rates . We can cover your bike and its accessories . We’ve Got You Covered! Get A Free Auto Quote Today From Insight Insurance . Protect Youself and Your Stuff. Covers personal property! Get a Free Quote! Plan For The Unexpected · Protect Who Matters Most · Plan For Financial Future. Affordable boat insurance coverage on all boat types. Get a fast free quote now. 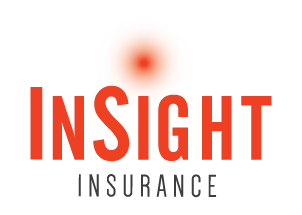 Insight Insurance Agencyis appointed with dozens of carriers. This creates greater opportunity because we can always shop for what is best for you, rather than what is best for the company! It’s a win-win model. Give us a chance and you’ll find that we will be your friend in the Insurance business! Click here to find the correct payment links for each of our insurance providers. We care about our customers and we’re here to help. The office is open 9am-5pm Monday-Friday.